Located at the bustling Al Maktoum Street, China Sea Restaurant has successfully made its mark among the people of Dubai, especially among the Chinese residents. This restaurant has achieved this status by producing tasty, high quality and authentic Chinese cuisine that is hard to find elsewhere in this city. It is due to this reason, China Sea Restaurant often remains packed with guests and people have to make their reservations in advance to eat the delicious food of this venue. The specialties of this bistro include crispy duck, fried crab, sea cucumber and emperor chicken. As far as the atmosphere of this eating place is concerned it is quite relaxed and comfortable, which is well complimented by this restaurant’s service. - China Sea Restaurant serves brunch, lunch and dinner. So you can drop in during their brunch, lunch and dinner hours to savour delicious food. 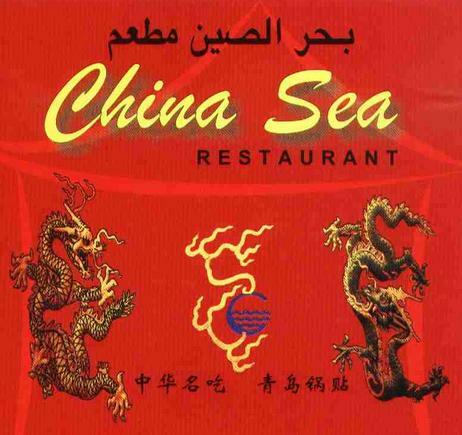 - The menu of China Sea Restaurant boosts authentic Chinese cuisine that is quite popular among the Chinese community of Dubai. - China Sea Restaurant also offer free take away service for those, who like to savour its food at their office, home or elsewhere. To see the full menu of the China Sea Restaurant, click here. The operational hours of China Sea Restaurant are from 11:00 am to 2:00 am. This restaurant opens on all days of the week and follows the same operational hours on each day. Clock Tower Roundabout 2, Al Maktoum Street, Dubai, United Arab Emirates. Al Rigga Metro Station 1 is about 500 metres away from China Sea Restaurant and by walk it can be reached in roughly 6 minutes. If a person heads northwest on Al Rigga Road towards 37th Street from this station, then turn left onto 37th Street and afterwards turn left onto 40 C Street. After that the patron should turn right towards Al Maktoum Road/D 89, from where he or she will turn left onto Al Maktoum Road/D 89 in order to reach the destination located on the left side, few meters away from this turn. 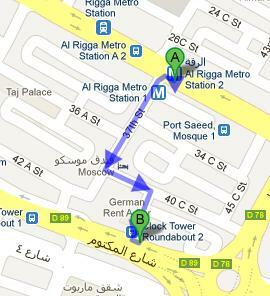 Directions From Al Rigga Metro Station 1 to China Sea Restaurant. Clock Tower Roundabout 2 – Dubai bus stop is just 56 metres away from the China Sea Restaurant, which makes it a walking journey of 38 seconds. If a bus passenger heads south towards Al Maktoum Road/D 89, then turn left onto Al Maktoum Road/D 89 and the destination will be on his or her left. Bus numbers that can lead a person to this bus stop are 4, 11A, 27, 53, 64A and C1. Directions from Clock Tower Roundabout 2 – Dubai to China Sea Restaurant.